Apache54, Astrochik, Catch, D3VILSR3J3CT, Frigg, HardTruth, John, Kamchatka, Mmmmkay_Ultra, Moon Rocks, MysticPizza, Nekro, Phantom, St. Blue Dude, SugarLips, T-Dub likes this! These are not humans (homo sapiens) they are 'humanlike' - but not human. These are 'lineages' which ran alongside homo sapiens that became extinct. True homo sapiens have not been on this earth for millions of years. They did not evolve, there's no missing link. We are unique. Apache54, Catch, DaJavoo, Frigg, John, Kamchatka, sivil, SouthernBelle, WNC likes this! Apache54, BirdLady2, Catch, Frigg, John, Moon Rocks, sivil likes this! (04-14-2019, 08:59 AM)Phantom Wrote: These are not humans (homo sapiens) they are 'humanlike' - but not human. 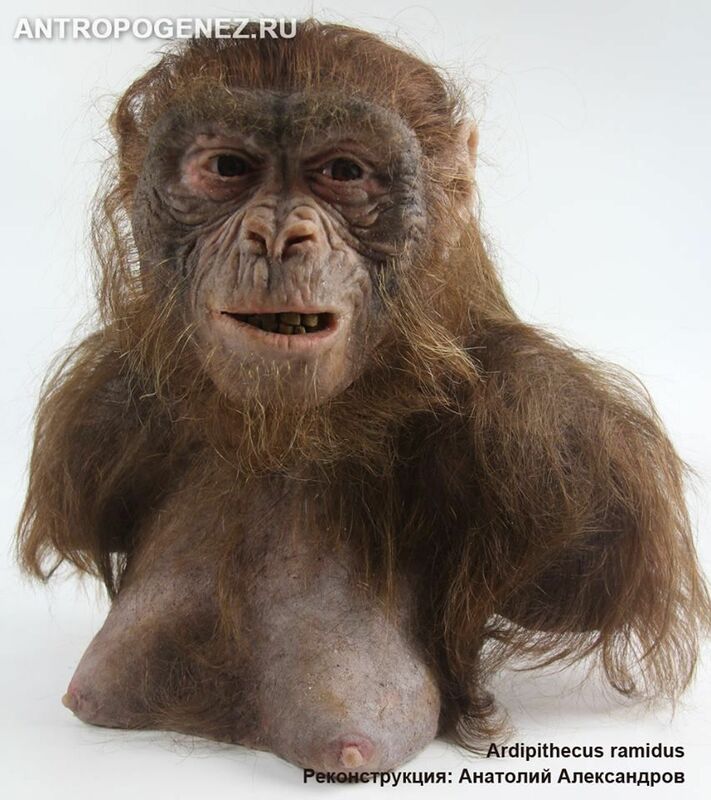 I've read some articles that discount that Australopithecus was part of the chain of the human family at all, although opinions in anthropology change a lot behind the scenes and we don't hear about it. But I'm not clear what you are saying Homo Sapiens have not been on Earth for millions of years. Homo Sapiens did not evolve. You're saying what....God placed humanity here at some time point in the recent past? Catch, Frigg, Phantom, sivil likes this! I believe in God, yeah I think though the belief that we are only 10000 years old as a human race, some people try to say thats from the bible, I believe we were created a long time ago. Some religious people believe we were created and then we evolved from there. Since everybody has their own idea of a higher power, i can only speculate. Catch, Frigg, Mmmmkay_Ultra likes this! Catch, Frigg, MysticPizza, Phantom, Pope Trollalotta, sivil likes this! My wife (when she was young) was shown these footprints BEFORE they were known to the science world and removed, Her Dad knew the land owner and locals always came to see these tracks. see the bold marked section about Texas. BirdLady2, Frigg, John, Moon Rocks, Sassy, sivil, SlowLoris likes this! Yes, Humans on earth today (homo sapiens) are unique. We have NOevolutionary ancestor and there's NO missing link. We as a species suddenly "appeared on Earth some 10,000 years ago. We just appeared from 'no where'. Find yourself an archeologist who's willing to speak. . . You'll be amazed with what they 'have' to dismiss and ignore. They'll tell you that there's protocol to follow to maintain funding. As "Apache54" stated we are a 'hybrid' - created, designed. Whom or what 'placed' us here would be a good topic for a new thread ! Apache54, Frigg, MysticPizza, Pope Trollalotta, Sassy, sivil likes this! I'm not a Geologist, I'm not an Archeologist, I'm not an Anthropologist. But I have always had a problem accepting the yada yada millions and hundreds of millions of years ago story line. We all know that the "experts" lie. We all know that in order to fit in, in their clique, they must follow and talk up the accepted "scientific facts." When the asteroids hit the earth, major stuff happened. And probably there were several asteroid assaults on earth at different times. I have no problems believing that humans and dinosaurs roamed the earth at the same time. There weren't so many humans that interactions were commonplace. Heck, there probably weren't that many dinosaurs either. The preservation of footprints, bones etc had to have happened in a flash. The reason I know that, is that here in the tropics, a dead animal is completely consumed in three days. We are talking everything except a few of the larger bones. The bones, left on the ground, turn to dust within a month. I do not have fossilized goat and horse bones that I can collect and put in a museum. And I guarantee you I would not be able to dig up fossilized dog and cat bones where I buried them. Apache54, atabrigade, Frigg, Pope Trollalotta, Sassy, sivil likes this! I respectfully disagree. We had help. jedijuju, MysticPizza, sivil likes this!